With an affordable housing squeeze that’s raising rents and home prices across King County, several south county cities are banding together to create an organization they hope will help struggling communities. South county cities including SeaTac, Tukwila, Kent, Burien, Renton and Auburn are working with the county to create an organization similar to the Eastside’s ARCH, which is designed to promote the creation and preservation of affordable housing. South King County has historically had naturally occurring pockets of affordable housing, which has provided housing to low-income households, working families and communities of color who have been priced out of metropolitan areas. However, this is changing as the entire region is becoming more expensive. A report released in December by the Regional Affordable Housing Task Force said housing prices had increased in Kent by 33 percent from 2012 to 2017, and that other south end cities had seen similar increases. The report also noted that rising prices are pushing people out of King County and into Pierce County. Marty Kooistra, executive director of the Housing Development Consortium in South King County, said rent increases have hit south end communities particularly hard. On top of this, much of the new housing being built is geared toward single renters or couples, leaving larger families — especially immigrant and refugee families — in a difficult place. Long waiting lists for federal housing vouchers mean that sometimes when families finally receive Section 8 vouchers, there may not be suitable housing in the areas where the vouchers are valid. “Family size housing is a huge problem in the region because a lot of what we’re producing today is not family size housing,” Kooistra said. Many seniors in both South and North King County also need housing assistance, said both Kooistra and Kenmore mayor David Baker. In many parts of the county, some of the most affordable housing found in mobile home parks has also been threatened. 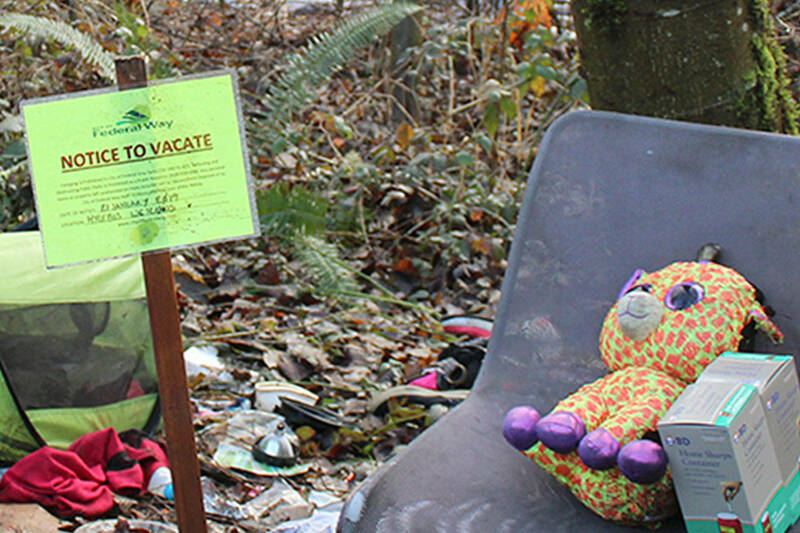 Firwood Lanes mobile home park in Kirkland was shuttered, bulldozed and redeveloped to make way for high-end luxury housing in the city’s Juanita neighborhood in 2016. Dozens of families were forced to relocate, and further attempts by Sound Publishing reporters to track down former residents were unsuccessful. In SeaTac, residents of the Firs Homeowners Association have been fighting to preserve their mobile home park for years. In May 2016, the Firs Mobile Home Park owner Jong Park started the process of closing the facility to build a hotel and apartment complex. A judge ordered a temporary stay last year, and residents told Seattle Weekly reporters there had been no new developments since then. Cities across the county have created local property tax breaks for developers who include affordable housing. These breaks are known as multifamily tax exemptions and can be coupled with streamlining permits for affordable housing, similar to what was recommended by the county’s Regional Affordable Housing Task Force, which published its report in December. The report said cities could create standardized mother-in-law unit plans and allow utility companies to waive sewer hookup fees to lower the cost of building more housing. The goal is to create 44,000 affordable units countywide by 2024, and to also create an Affordable Housing Committee within the Growth Management Planning Council. A number of additional ways to spur affordable development were also included in the plan, and cities are free to pick which options will work best for them. Task force co-chair and King County Councilmember Claudia Balducci said the report was blessed in one way or another by all the cities in King County. Balducci and Kooistra said they are focusing on spurring private development instead of looking at public housing. Balducci said public housing would be “extraordinarily expensive” and she was unsure if the county could raise the necessary funds. Kooistra said part of the problem is Washington state’s tax structure, which has been repeatedly heralded as the most regressive in the country. This means the state relies heavily on sales, property and consumption taxes instead of income taxes — a tax scheme that hits working class and low-income households the hardest. Under this tax system it would be difficult to raise the billions of public dollars necesssary to create 44,000 units if they were to be public housing, Kooistra said. The county could ask voters to approve a one-tenth of a cent sales tax increase to build, acquire and operate affordable housing, but King County Councilmember Rod Dembowski in previous coverage said this would also raise concerns about the use of further property taxes to fund affordable housing under the state’s tax structure. “t’s super important that we have market actors building houses, creating houses, preserving houses,” Balducci said. Both the state and cities like Seattle have run into judicial roadblocks when trying to implement income taxes. In 2017, a King County Superior Court judge ruled against Seattle’s proposed income tax, and the state’s Supreme Court sent the ruling to a court of appeals last week, the Seattle Times reported. However, local governments must keep subsidizing affordable housing, Kooistra said. Funding in the county’s most recent budget was also allocated for the north end cities of Shoreline and Lake Forest Park to explore creating their own housing authority. Shoreline’s Jim Hammond with the city manager’s office said the county is expected to provide around $150,000 for the cities. Shoreline is experiencing the same challenges of housing affordability the rest of the county, Hammond said, especially for lower-income households. Shoreline has rezoned neighborhoods around future light rail stations, which will be opening in 2024 in an attempt to create new urban developments in the area. Additionally, they have worked closely in the past with Lake Forest Park on housing issues. “We’re determined to utilize the opportunity created by the extension of light rail through our community to make a substantial increase to our housing stock in general, and the affordable housing stock in particular,” Hammond said.